By: C.B. Graham Published Senate Doc. 11, 35th Cong. 1st Session. Date: 1857 (published) Washington D.C. This historic work by C.B. Graham portrays the region to the North, East, and South of Great Salt Lake City at one of the most active periods of Mormon emigration and settlement. It was published just 10 years after Brigham Young and his fellow members of the Church of Jesus Christ of Latter-Day Saints arrived in Utah's Great Salt Lake Valley. South Pass is a well-known route through the heart of the Rocky Mountains. Not discovered by white men until 1812, the pass remained largely unknown until disclosed by the Crow Indians to Jedediah Smith years later. By 1832, the South Pass became a principal route emigrants heading to Salt Lake and / or further west. The map shows several Mormon towns and settlements from Nephi City in the South to as far north as far north as Ft. Hall in present day Idaho. Between those two points, one can locate Payson City, Ft. Utah (present day location of Provo), Great Salt Lake City, and Ogden City to name a few. 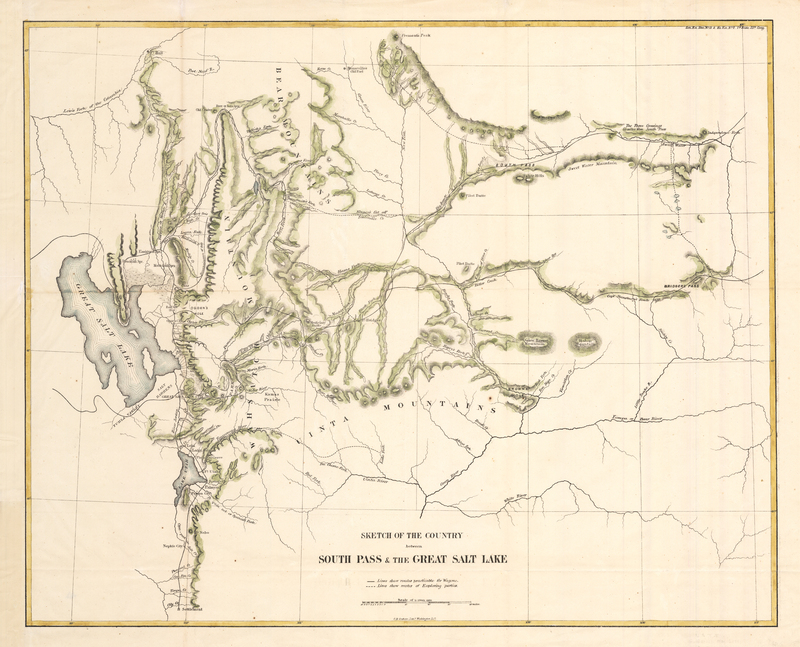 Other place names related to early explorers of the west can also be found, such a Lewis’s Fork of the Columbia, Bonneville’s Old Fort, and Fremont’s Peak. This map would make a nice addition to any collection with a focus on Mormon history, Utah, or western exploration. Condition: This map is in A condition, folded as issues but now flat without any major separations or browning of the paper along the fold lines, which can be common among similar maps.